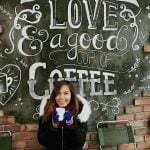 Couchsurfing 101 for newbies like this Filipina solo traveller! As part of my one month South East Asian trip, I thought of giving Couchsurfing a try. I’ve signed up as a host on Couchsurfing.com a couple of months back, but I wasn’t really hosting since the requests that I was receiving didn’t match my schedule, because I was on the road, travelling during those times. Still, I’ve accommodated new found friends I met during some of my trips. There was one from the UK, another from France, and another one from the USA. I figured it’s a fun way to meet fellow travellers and hosts. 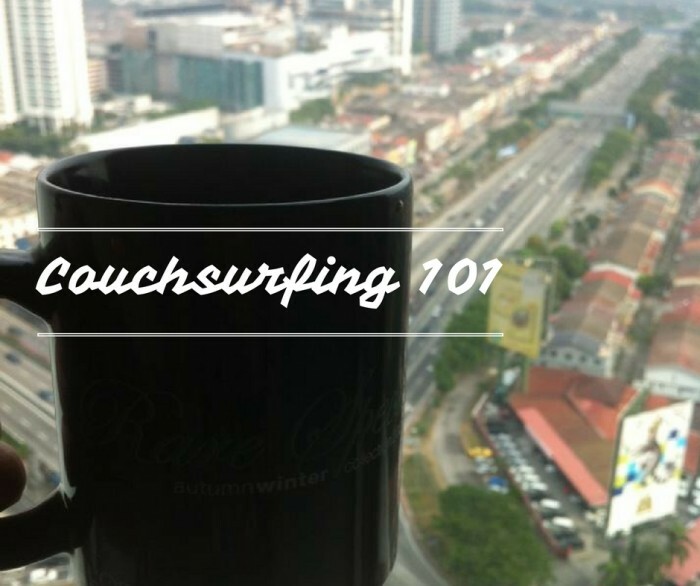 I tried to couchsurf when I went to Malaysia, and because it was my first time, I didn’t know what to expect. I met my host when he visited Manila, but I still had little idea on how couchsurfing really works. Prior to that, I’d read in the news that a couchsurfer in Nepal was murdered by her host. This host is well established and has a good reputation, hosting hundreds of travellers from around the globe. No one expected that he would commit such a crime. In my mind, it was evidently frightening. But I calmed myself down by keeping in mind that, just because this happened didn’t necessarily mean that all hosts were killers or murderers. It didn’t mean either that what happened to that couchsurfer would also happen to me. So I gave it a try. My host, Zikri, is a nice and accommodating Malaysian local. We’re friends on the couchsurfing site and when he visited Manila, I met with him and we had dinner together. Even though I wasn’t able to host him during his stay, we still got in touch and became good friends until I mentioned to him that I’d booked a flight to Southeast Asia and Kuala Lumpur is one of my stops. Before going to his place, we were already chatting on messenger. I told him about the exact dates and time that I was arriving and he nicely accommodated me and guided me on how to get there. Even though he already gave me instructions, Zikri was kind enough to pick me up from the bus station. I arrived at the station around 7am and he arrived 30 minutes later in his car. His place is very nice. It sits on the 27th floor of a condominium building which has a swimming pool. On my first morning, I was very exhausted, so I quickly fell asleep on the floor. The unit has an overlooking view of small houses. When I woke up, he had just come back with a cup of hot coffee he bought outside. We had a little chat until he left again. I just went back to sleep. When I got up, I went for a dip in the pool. It was so relaxing! It also has a Jacuzzi which gave me a soothing feeling. After a few hours, he got back and we went out for lunch. He took me to this local restaurant wherein there are 100 mouthwatering varieties of local foods that sell for only $0.20! Unbelievable! And a coffee after our sumptuous lunch! With all of these, I’d like to give some tips on how to be a good couchsurfer. Zikri and I had met before in Manila prior to my stay in his place in Kuala Lumpur. I browsed his photos and also read some references and feedbacks from the couchsurfers who previously stayed at his place. Knowing your host will assure you of who you are meeting with. It’s very important to know your host. Trust him and ask for his recommendations on places or spots you want to see especially if you’re new to the area. Remember, he’s a local and he’s knowledgeable about the area. During one of those days, he left for a meeting with his client so I took advantage of my free time at his flat. Zikri has a very stable internet connection so I was able to do my online job, but before doing that, I asked for his permission if I could use it for my work. He agreed. Update him about your plans and schedule. I was supposed to stay at his place for 3 nights. Unfortunately, there was a sudden change of plans due to a friend that I met in Singapore. So my schedule was adjusted. I’m a naturally friendly person so my host and I got along well. One night, we were declined to enter a rooftop bar. I became grumpy, but he remained calm and granted my request to instead drop by the Twin Towers and take a selfie with the tall building in the background. Then, we just went back to his place. My host didn’t have a stove, so I wasn’t able to cook. We just ate out. He took me to a local restaurant where there were 100 mouthwatering varieties of local foods. Amazing! He let me stay in a room where I could sleep, but since I didn’t need one, I just lied down in the living room. He had just moved to the new flat, so there was no furniture yet. Hence, I had the living area all to myself! That night that we weren’t able to get to the hostel where we wanted to have a drink, we just headed home and bought some drinks to enjoy at his place. The politest thing you can do is to say thank you. Regardless of whatever your host showed you during your stay at his private space, express gratitude. It’s very important. 7. Don’t forget to write a feedback! Whatever your experiences were, either bad or good, it’s also alright to leave a comment or a feedback on your host profile for other couchsurfers' reference! And remember, be honest! If your host has plans to visit your city, might as well not forget to return the favour. If you’re incapable of hosting him/her at your place for some reasons, try to tour him around, or meet with him for a cup of coffee or dinner. Sad to say, my stay in Kuala Lumpur is not forever. I am quite sad leaving this place that gave me so many memories. In fact, Kuala Lumpur, Malaysia was my first destination that I’ve visited on my first ever solo travel abroad! Also read: 12 Safest and Cheapest Countries to Travel SOLO! It was my first time to stay at a stranger’s place, especially abroad. It sounds a bit awkward on my part since I’m a woman and my host was a man. As a woman and as a solo traveller, it still pays off not to be too trusting especially in dealing with strangers wherever you go. But do not be too suspicious either. Act normal but know your limits and be humane. I definitely didn’t have any bad experience during my first time crashing on someone’s private space and I’m thankful for that. However, generally, when you feel something is off, trust your guts and don’t go. This is for your personal security. Couchsurfing is recommended for budget travellers like me, but always take precaution. With couchsurfing, I was able to save bucks. And honestly speaking, he paid for most of the expenses—from my lunch to our coffee together and I didn’t even pay for the gas of his car that we used for sightseeing and going to places. Overall, couch surfing is fun and I’m sure I will try it again in one of my trips soon! My deepest thank you to my host Zikri for warmly accommodating me at your very nice and exclusive place. Until next time. See you in the Philippines!